The search for the perfect Maine RV park stops here! Pinehirst RV Resort is a camping destination that truly has it all. Nestled deep in the woods, Pinehirst RV Resort allows you to become one with nature as you create memories that will last a lifetime. We pride ourselves on the fact that groups choose to return to our campground year after year. Pinehirst RV Resort is an excellent choice for a great camping experience in Maine. Guests quickly discover that we offer a convenient location for exploring nearby cities and attractions. We're just two miles from the sandy beaches of the Atlantic Ocean, and just 15 minutes from Portland. A 90-minute drive from the resort can take you to Boston. Open for the summer months, Pinehirst RV Resort offers a peaceful setting. Our spacious Old Orchard Beach campground comes complete with water, electric, cable, phone and sewer facilities. 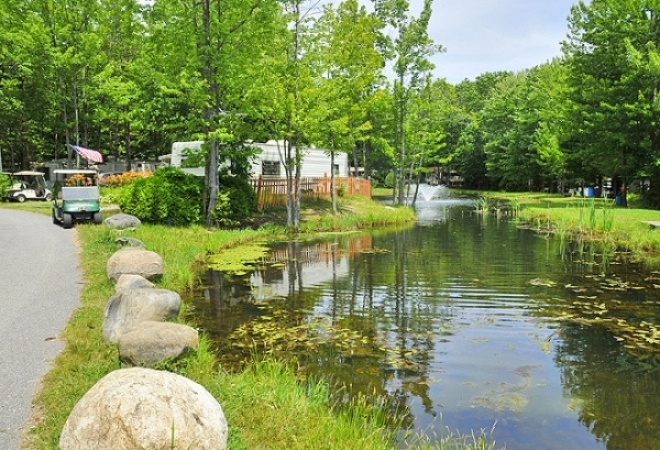 You're sure to find what you're looking for at Pinehirst, a unique Maine RV Resort!